1. 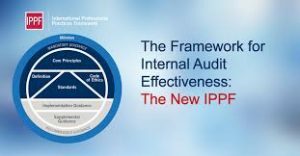 Guide adherence with the mandatory elements of the International Professional Practices Framework. 2. Provide a framework for performing and promoting a broad range of value-added internal auditing services. 3. Establish the basis for the evaluation of internal audit performance. 4. Foster improved organizational processes and operations.